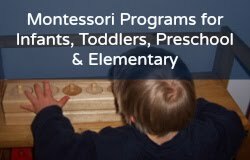 How to create a Montessori-friendly bilingual home: I really want to say before we I dig into today's post that every family and situation is different, what works for one might not work for another. This is how we run our bilingual home and it works for us, although there have been tweaks along the way. My name is Jo Ebisujima; I'm a Brit and live just outside Tokyo, Japan with my husband and 8-year-old son (Ebi-kun). From the offset, there was no question on which language we would use with our son, we knew he had to be bilingual. Japanese is the community language but I also feel that the minority language, in our case English, is equally important. We bought books, lots and lots of books in both languages. Including encyclopedias and dictionaries and lots of factual books. When he was younger we only watched English TV or films. We don't watch a great deal of TV and still as a family, we watch things in English but sometimes the boys want to watch the football and that is in Japanese. The other thing that came up was that Ebi-kun was having a hard time finding a common ground with his friends at school, there is a particular TV show that all his friends watch, a football animation and so we decided that it was OK for him to watch that a couple of times a week, to make his life easier. We don't do workbooks. We do lots of after school activities, crafts, science, arts but no workbooks. He has some available, if he wants to use them, but they rarely get touched. After lots of reading we decided that at home or as a family we would use English, we felt that this would give Ebi-kun a bit more exposure than using OPOL (One parent One Language). We stuck with this until he reached school age and the changed it up a bit. We still use English as the family language but now when my son and his dad are alone together they use Japanese, we did this because we noticed Ebi-kun was making some mistakes in Japanese and needed correcting. To prevent this post turning into a book, I will break things down a bit to what exactly we did. · When it comes to reading, I read exclusively to Ebi-kun in English and daddy does the same in Japanese. In a nutshell, we made sure that he had plenty of access to English in the home, it helped that he loved books from the offset and will devour anything I put in front of him. There are two key points that I believe have made a big impact on Ebi-kuns bilingualism. We made sure from the start that he knew how important it was to be able to communicate well in both languages. We talk to my mom in the UK using Skype at least three times a week plus my friends and he gets to chat to their kids and his cousins too. It is pretty obvious to a child that the community language is important but if they are learning a second language and can't see the point, they will have no interest in trying. Foreigners with kids are few and far between where we live. Ebi-kun goes to an elementary school with over 1400 kids and as far as we know, he is the only English-speaking child. When he was a baby I joined a baby group for bilingual children, a few have left over the years but the core group is still going strong. We meet a couple of times a month and it's great for the kids and the parents. Raising a bilingual child isn't easy and both parents need to be on the same page to help make it happen. The common factor in our bilingual playgroup is that we make it fun and make it relevant. Are you raising a bilingual child? Share your success stories in the comments below. Jo Ebisujima is a no nonsense organizer and child wrangling expert extraordinaire, who believes that a child’s number one teacher is their parent and that its a parents job to help their child fall in love with learning. She is the best selling author of Montessori Inspired Activities For Pre-schoolers and is also the founder of My Organized Chaos; where she helps busy mamas organized their home, kids and themselves so they have quality time to do the things that they love. She understands how difficult it is to squeeze everything into the day and has an uncanny knack of showing you how to break things down into bite sized chunks plus how to set up systems to make your life run smoother. Find Jo on her blog and on Pinterest.